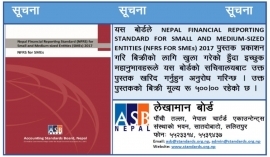 NFRS for SMEs 2017 book is available at ASB Nepal Secretariat. 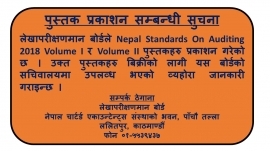 The Board has published the Nepal Financial Reporting Standards (NFRSs) 2013 book which is prepared on the basis of International Finanancial Reporting Standards (IFRSs) 2012. This site as been visited 121178 times since June, 2014.